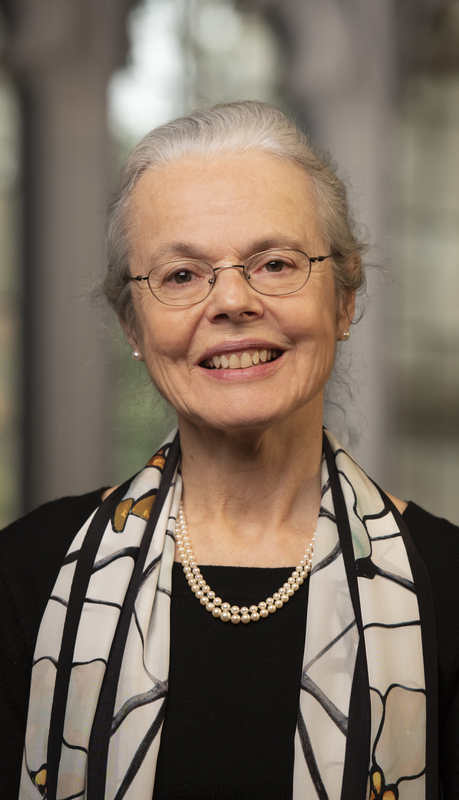 Ellen F. Davis is Amos Ragan Kearns Professor of Bible and Practical Theology at Duke Divinity School. The author of eleven books and many articles, her research interests focus on how biblical interpretation bears on the life of faith communities and their response to urgent public issues, particularly the ecological crisis and interfaith relations. Scripture, Culture, and Agriculture: An Agrarian Reading of the Bible (Cambridge University Press, 2009), integrates biblical studies with a critique of industrial agriculture and food production. Biblical Prophecy: Perspectives for Christian Theology, Discipleship and Ministry (Westminster John Knox, 2014), explores the prophetic role and word across both Testaments of the Christian Bible. Her most recent books are Preaching the Luminous Word (Eerdmans, 2016), a collection of her sermons and essays, and Opening Israel’s Scriptures (Oxford, forthcoming 2019), a comprehensive theological reading of the Hebrew Bible/Old Testament. A lay Episcopalian, she has long been active as a theological consultant within the Anglican Communion. Her current work explores the arts as modes of scriptural interpretation. The Art of Reading Scripture, a volume of essays co-edited with Richard Hays, Eerdmans, 2003. The essays (which include four of my own) were written by members of the Scripture Project, a project of the Center of Theological Inquiry, Princeton. Named in fourth place on the Academy of Parish Clergy Top Ten Books of the Year for 2004. “Who Are You, My Daughter?”: Reading Ruth through Image and Text, my translation and commentary, with woodcuts by Margaret Adams Parker, Westminster John Knox Press, 2003. Getting Involved with God: Rediscovering the Old Testament, Cowley Publications, 2001. Proverbs, Ecclesiastes, and The Song of Songs: A Theological Commentary, in the Westminster Bible Companion Series, Westminster John Knox Press, April 2000. Imagination Shaped: Old Testament Preaching in the Anglican Tradition, Trinity Press International, 1995. Swallowing the Scroll: Textuality and the Dynamics of Discourse in Ezekiel’s Prophecy, Almond Press, 1989.